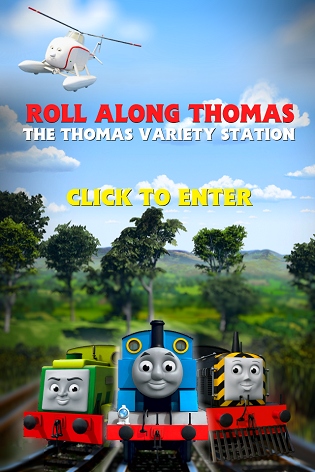 The fourth series of the Thomas Story Time book franchise has been revealed for the year of 2013. Another five titles are due, two of which are based on Season Fifteen episodes. The other three are sourced from the recent Season Sixteen stories. Egmont backgrounded on the developments of their new literature line to Roll Along Thomas back in Christmas 2011, also revealing that it was to continue through to at least next year. Thomas has been chosen to work at the Search and Rescue Centre with the bright, bold, brave truck, Butch. And Butch has a giant magnet on his crane arm today! Thomas is excited. So excited in fact that he doesn't stop to listen to the instructions about the magnet. Butch's magnet is very powerful and Thomas is made out of metal...The two friends soon become inseparable! Will Thomas ever be able to get the giant magnet off? Spencer is chosen to show Stafford, the new electric shunting engine, around Sodor. But Spencer keeps forgetting that Stafford runs on a battery, which keeps running out! Will Stafford ever get to meet everyone on Sodor or will he keep getting left behind? Flynn is a very special fire engine - he can go on the roads and the rails! Wherever there's a fire on Sodor, Flynn can get there to save the day. But when his road wheels go all wobbly, his confidence wavers, too. Then a fire breaks out in The Fat Controller's shed, but it can only be reached by road. Will Flynn be able to race to the rescue on his wobbly wheels? Based on Flash Bang Wallop! Thomas notices that Hiro is feeling sad, and he's determined to cheer him up. But Thomas is a young engine who likes going fast and being noisy and he doesn't listen when Hiro, an older engine, tells him that he likes to 'puff along quietly'. So will Thomas be able to cheer up Hiro? The five new Thomas Story Time titles from Egmont hit UK book shelves on January 7th 2013.